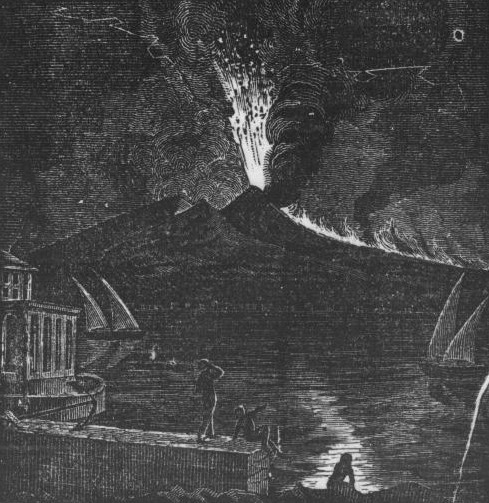 Vintage black and white drawing of an erupting volcano against a night sky. This public domain vintage image would make a dramatic addition to any project where you need to display an example of the earth’s fury and power. It was published by Munroe and Francis & C.S. Francis & Co. in 1852. It included this an a great deal of other great images here on Reusable Art. The work was Tales Worth Telling, Traveller’s Adventures by Sea and Land.